Spellbound’s Miami October Fishing Report is red hot this month. The Fall fishing has really turned on. We have been catching a real mix of great species. The Sailfish bite had been great all month. We are catching Sailfish on the troll and while live bait fishing. Our best baits have been either slow trolling small live Bonita. 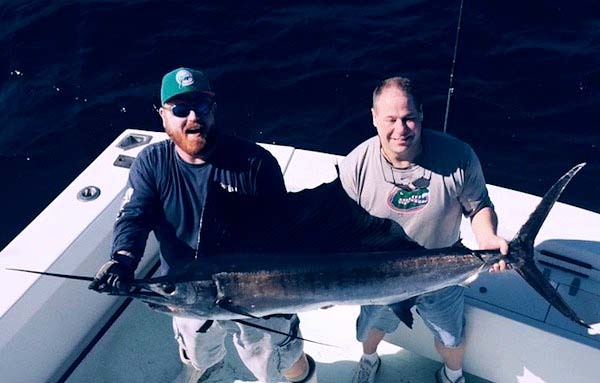 Rigged Ballyhoo trolled quite a bit faster have also been a terrific Sailfish bait this month. Some really nice “Gaffer” sized Mahi Mahi (Dolphin Fish) have also been migrating in close on the edge of the deep reef. We have seen quite a few fish over 20 pounds this month. 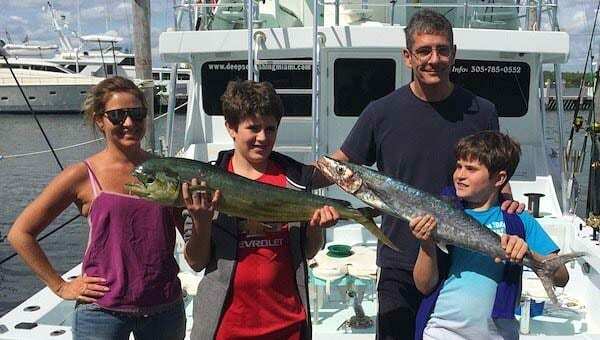 We have caught both Mahi and Sailfish in as shallow as 40 foot of water and out to about 600 feet of water. Trolled Ballyhoo have been the best bait for the Dolphin Fish (Mahi Mahi). Once we find a group of fish on the troll we have been switching to small love blue runners on spinning tackle to target other fish in the groups. We have also had a great Kingfish bite this month. We have had a bunch of days where we were able to “Limit out” on Kingfish on a half day fishing charter. The Kings have been from about six pounds to just over 20 pounds. Trolling Bonita Strips and spoons on deep rods have been very successful in targeting Kingfish. The deeper wrecks of Miami and Miami Beach have also been very productive this month. We have seen some medium sized Amberjacks and Almaco jacks on small live baits like Pinfish and on fresh Bonita strips. The wrecks we have been targeting are in from about 200 feet of water to almost 400 feet of water. 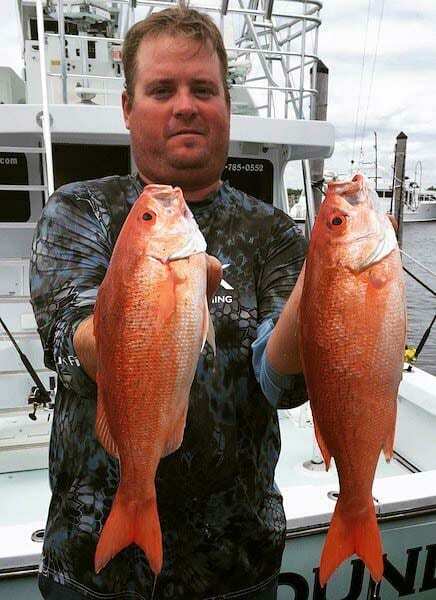 We have also been catching some really large Vermillion Snapper.